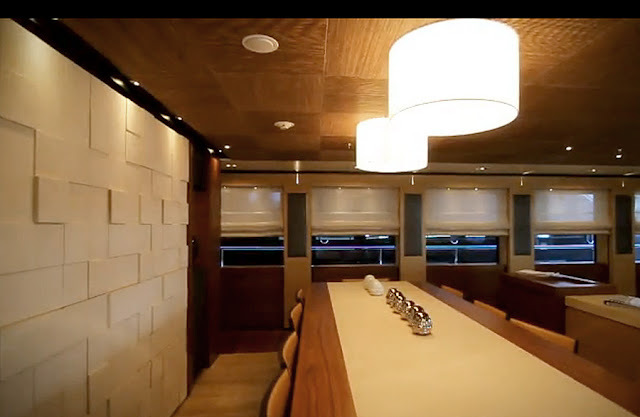 If It's Hip, It's Here (Archives): A First Look Inside The Luxurious 50m (164ft) Papi du Papi Superyacht. A First Look Inside The Luxurious 50m (164ft) Papi du Papi Superyacht. 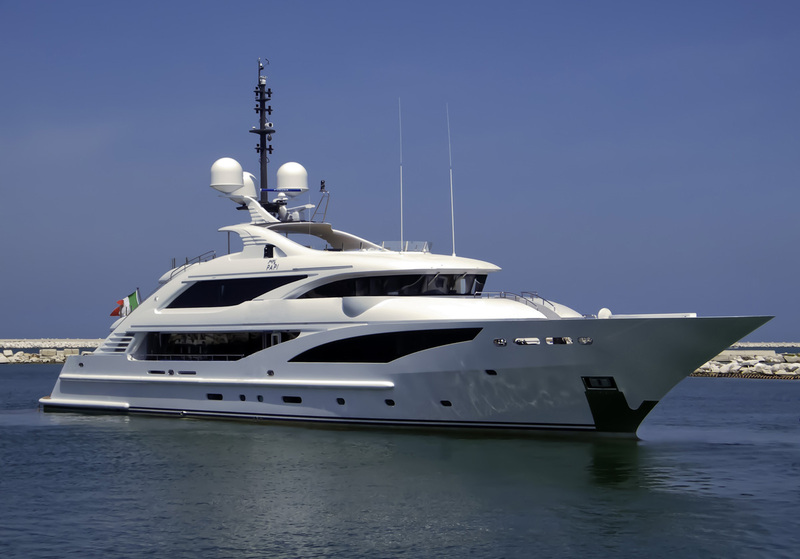 Back in July of 2011, ISA (International Shipyards Ancona) launched the aluminum and steel 50m (164ft) motor yacht Papi Du Papi, the second in a series of three new 50m yachts under construction at the Italian shipyard that share the same technical platforms, but differ in their superstructure and transom design. The Papi du Papi, owned by an unnamed South American couple, has an elegantly designed and luxuriously appointed interior by Francesco Paszkowski of Italy, known for his sophisticated yacht interiors. 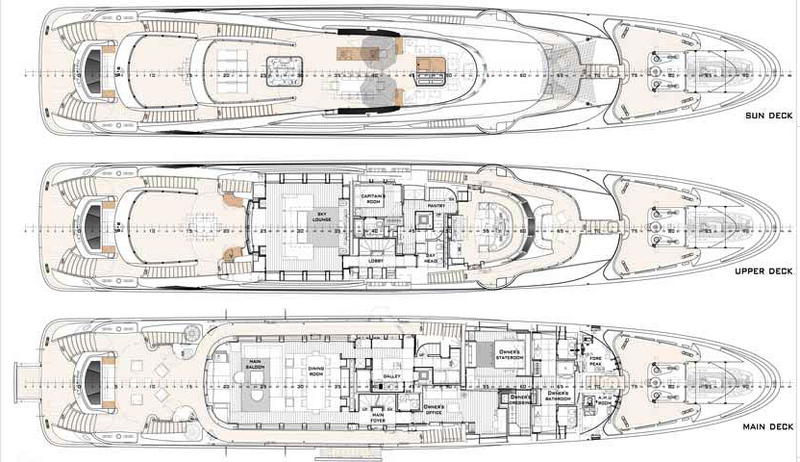 These photographs are the first to be released (exterior images and computer renderings of the interior were shown during the initial launch) since the boat was launched over a year ago. The modern luxury yacht comprises six staterooms and five crew cabins. 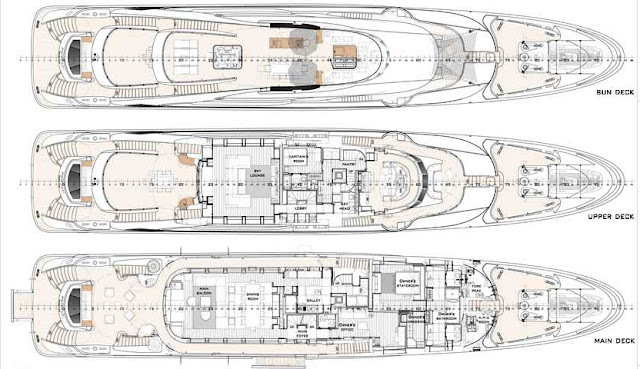 The main-deck master suite includes a private salon, an office, a dressing room, a bedroom, and a generous his and her bathrooms. The other staterooms reside on the lower deck and include two double and three twin en suite cabins. 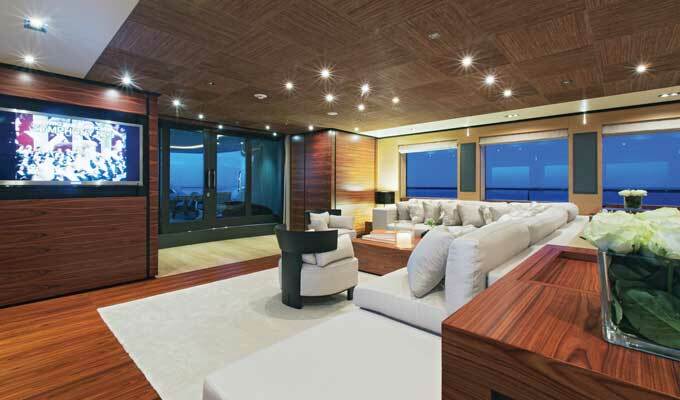 The decor is consistent with the rest of the yacht, and a rosewood staircase joins the decks. Yachts International reports that "It was the first time that ISA worked with Francesco Paszkowski Design. The well-known design studio handles all kinds of work, but its mission here was to focus on the interior. 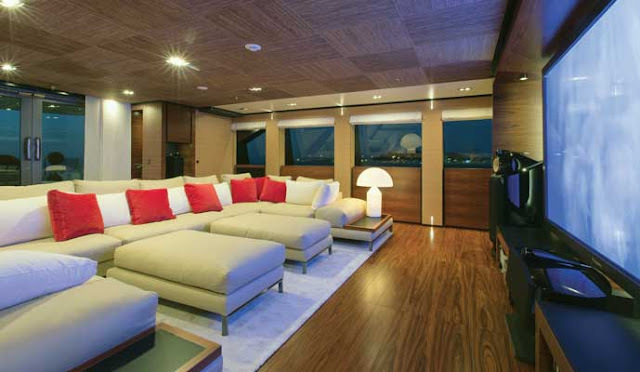 Designer Margherita Casprini, of studio Paszkowski, did a thorough job researching materials and worked closely with the shipyard’s team on execution. The chosen materials (Brazilian rosewood, oak, Jerusalem stone, travertine, leather, linen and a cotton/wool-blend fabric for the stateroom ceilings) interpret the owner’s vision for a décor that blends European and South American influences. It is stylish and comfortable, in keeping with his vision for a yacht that is inviting for a family. 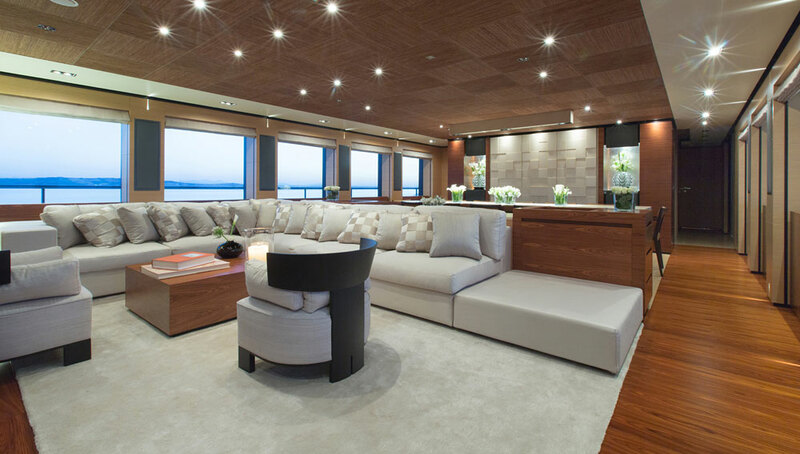 Stepping on board, one gets an impression of well being, due in part to the abundant natural light flowing from the large windows, the low-profile furniture, rosewood floor and oak walls. The eye is able to flow through most of the deck, where the central focus is a Jerusalem stone mural. 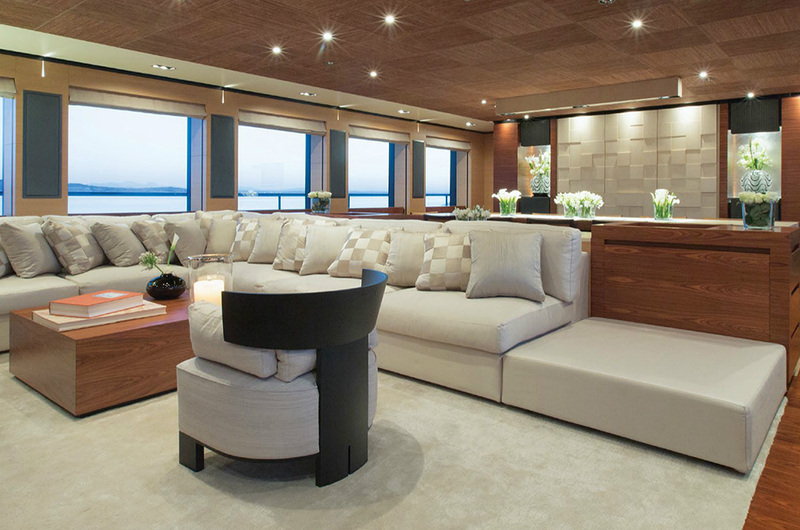 Paszkowski Design was involved in everything from layout to lighting and even entertainment options. 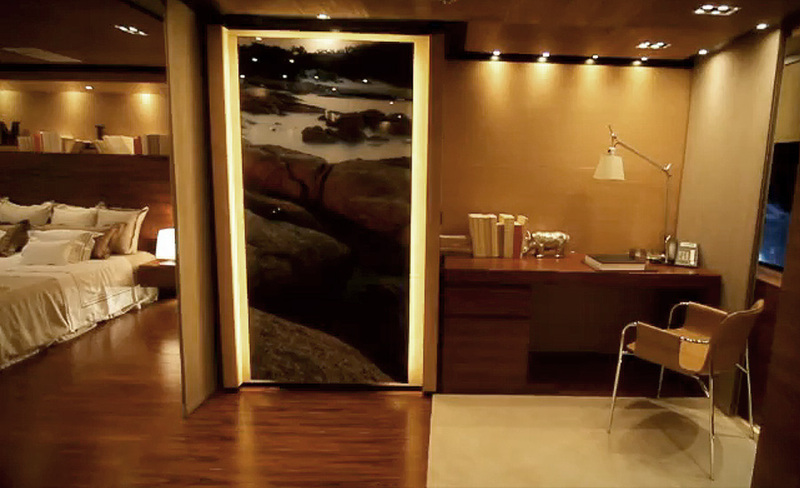 The lighting doubles as a true architectural feature designed to define spaces and create moods. 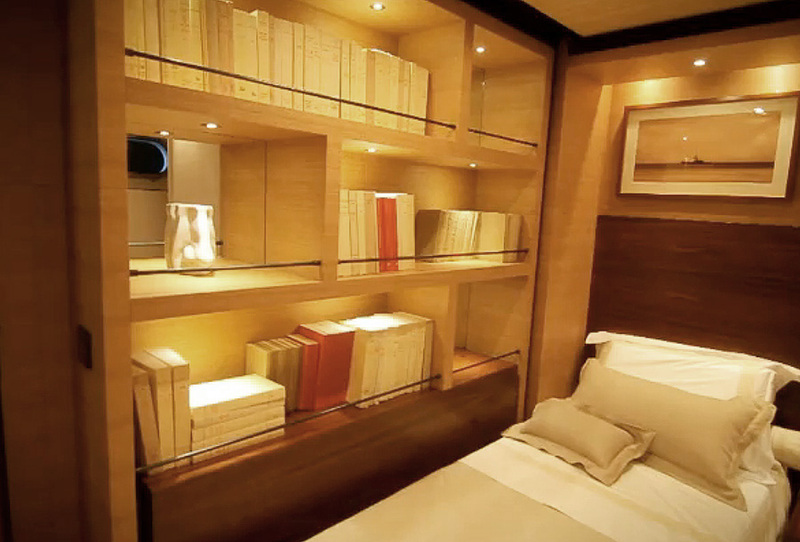 It also highlights the owner’s collection of personal photographs taken on previous trips. Following an apparent design philosophy that music should be heard and not seen, the designers incorporated speakers in a way that they do not detract from the cohesive design. 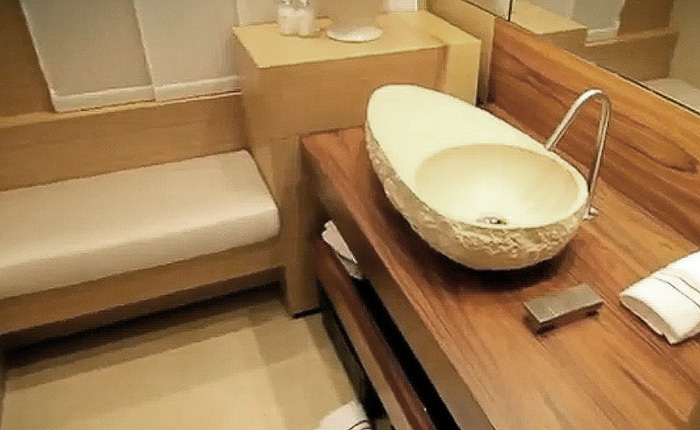 The traditional layout is practical and user-friendly. It situates the five guest staterooms on the lower deck. 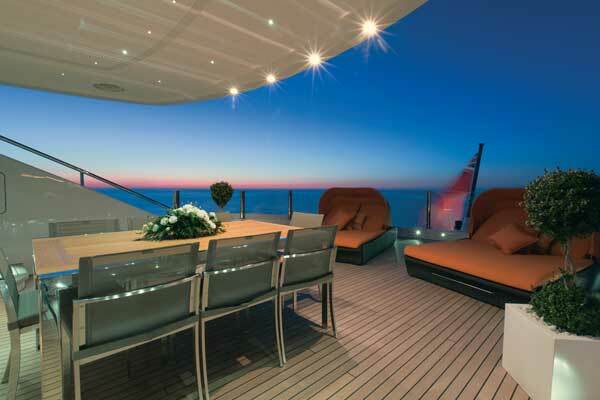 The main deck accommodates the salon and dining room within an appealing continuous space. 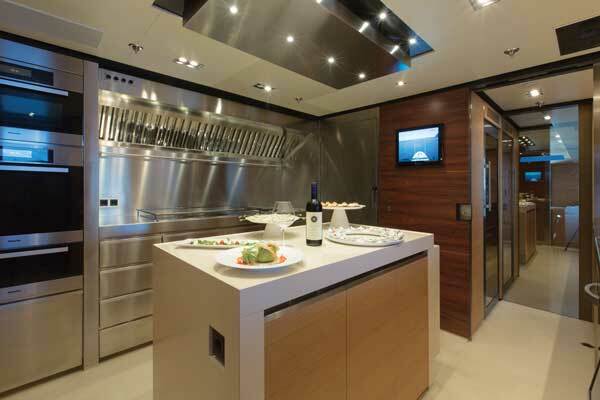 A professional galley with stainless-steel appliances is located behind the dining area. 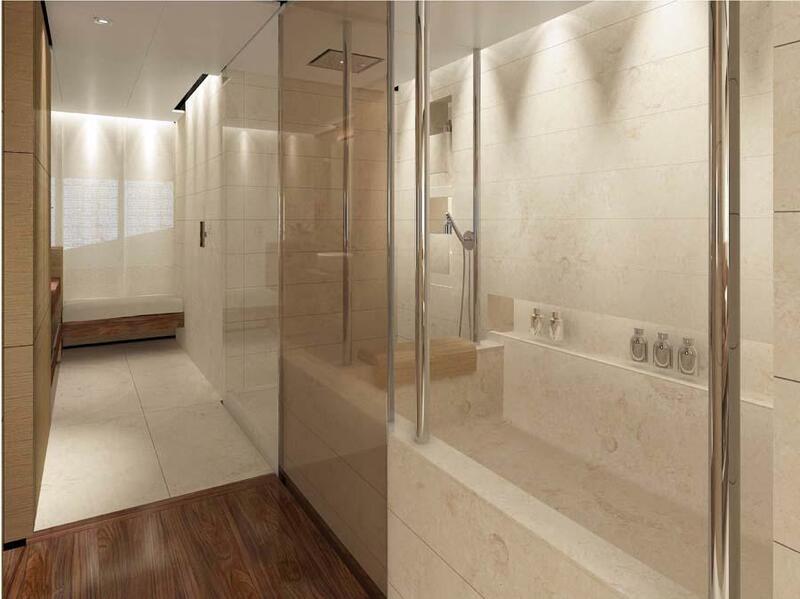 A long hallway goes past the foyer to lead to the large master suite’s office and private salon. 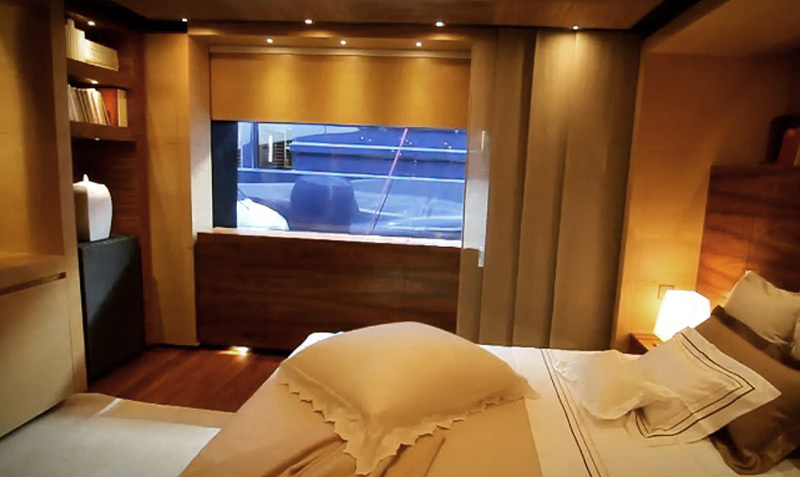 The bedroom, which has nice-size windows, is beyond. 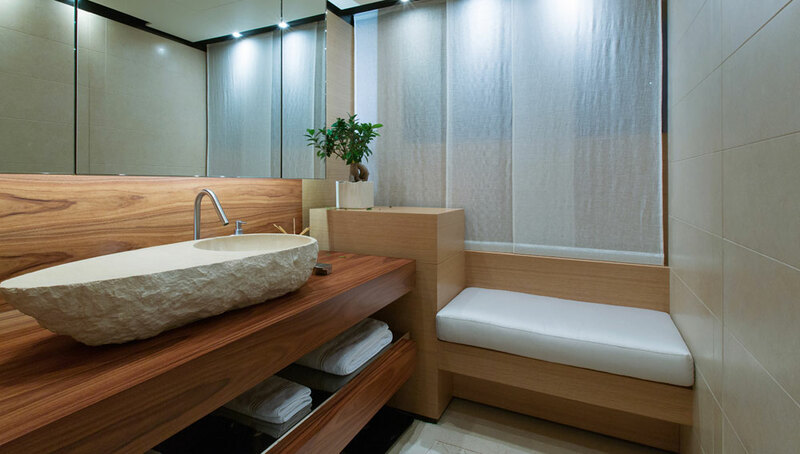 His-and-hers bathrooms, decorated with attractive basins carved from Jerusalem stone, and a walk-in wardrobe complement their comfortable and private space. 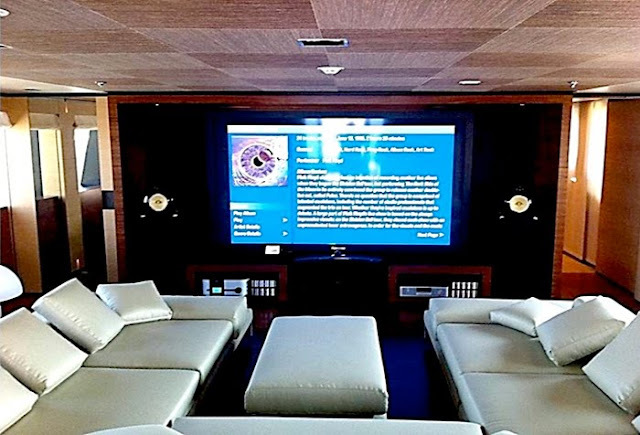 Most of the entertainment takes place on the bridge deck, where the sky lounge doubles as a media room with a 103-inch TV screen and an excellent sound system with Bowers & Wilkins speakers. 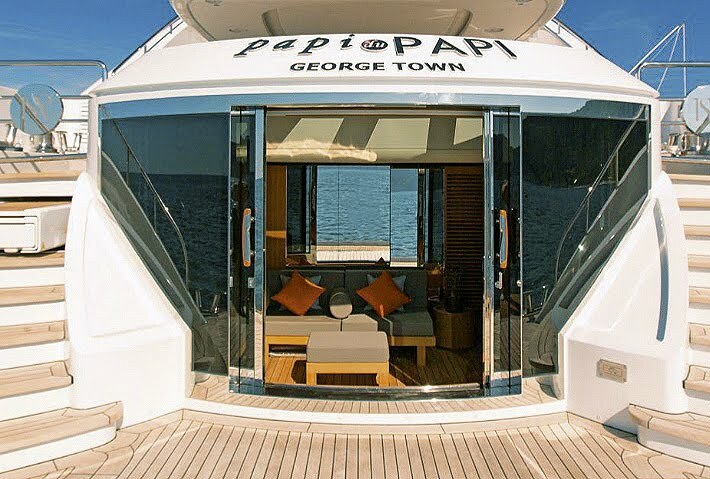 The sophisticated integrated system onboard the Papi du Papi was entrusted to Videoworks, a company specialized in integrated entertainment, networking and digital CCTV systems for mega yachts. 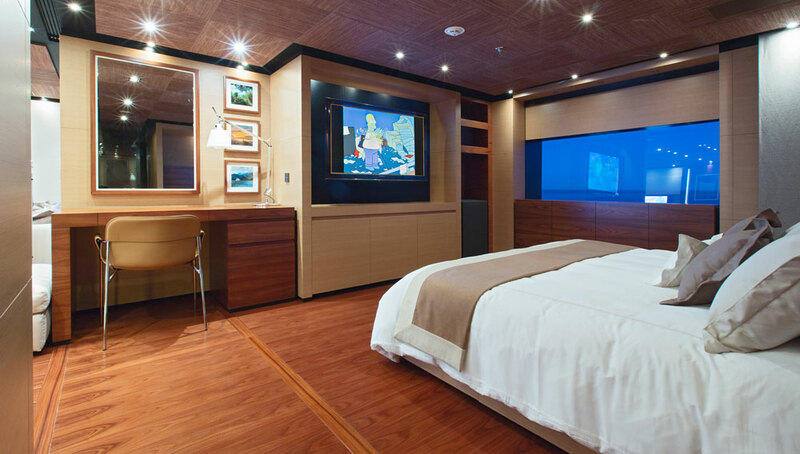 It had to be state-of-the-art technology and be easy to use, giving guests complete control of entertainment, lights, curtains and air conditioning through dedicated touch panels and iPads. The system also has to be integrated with Apple technology (Apple TV and Mac Mini), navigation systems and perhaps more importantly offer audiophile quality. 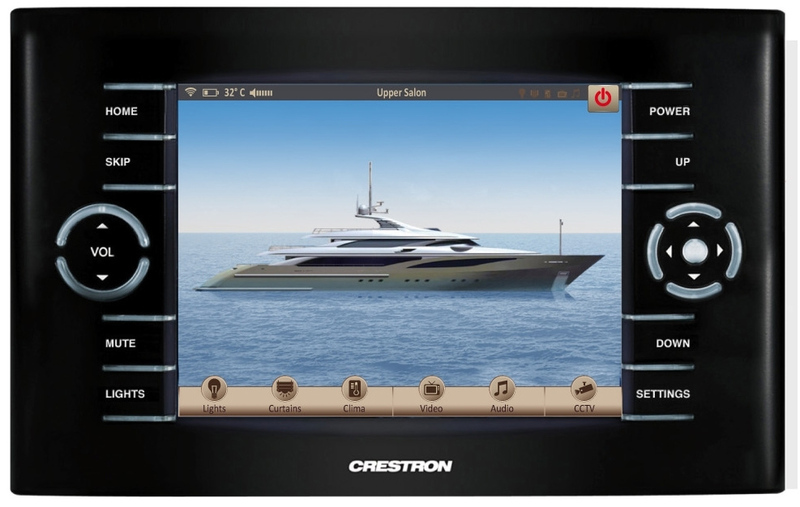 In order to meet all these requirements, Videoworks integrated systems from Crestron, Lutron and Cisco. 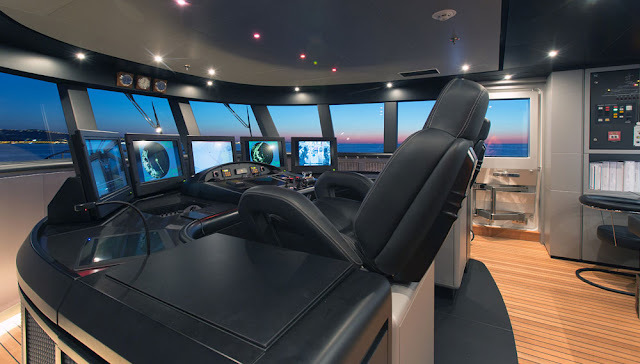 The captain has his cabin next to the wheelhouse, which is perfectly designed for navigation with a walk-around helm console. 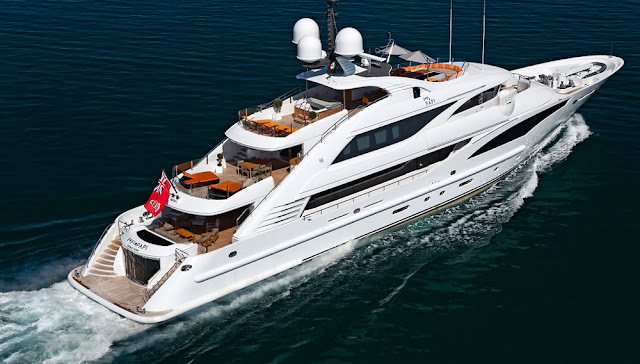 It is very attractive with black leather upholstery and large display screens. 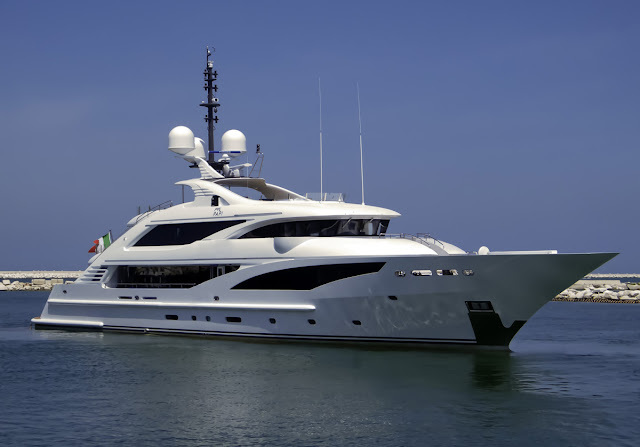 The reverse raked windshield (borrowed from commercial vessels) provides excellent visibility and works surprisingly well with the yacht’s sleek design. 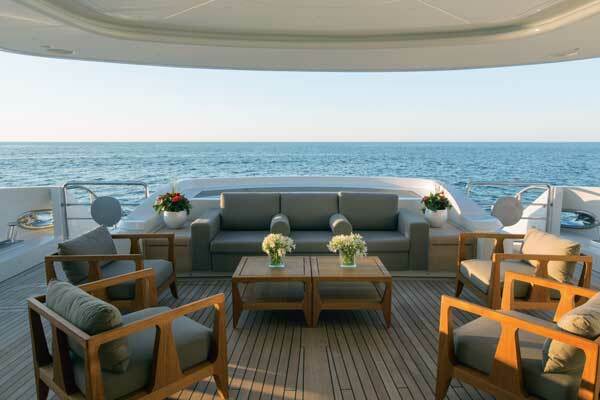 The spacious aft deck accommodates a table and chairs for outdoor dining and loungers with built-in shade. 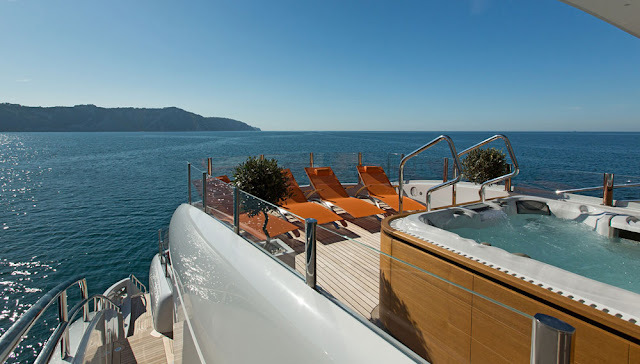 The sun deck, equipped with a large Jacuzzi and a bar, is mostly open to the sun. Two large umbrellas, stowed away during long navigation, complement the shade provided by the radar arch. 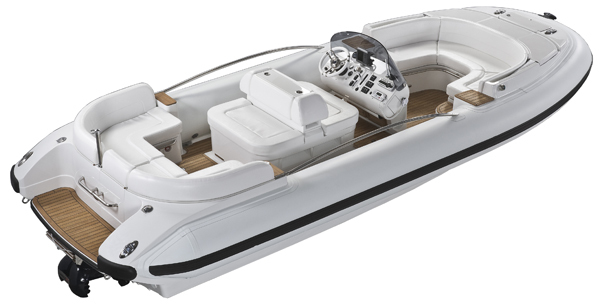 The yacht’s tender garage, tucked between the beach club and the engine room, accommodates a Castoldi Jet 21 (shown below), unloaded through a side shell door at starboard. The rescue tender is located on the foredeck. 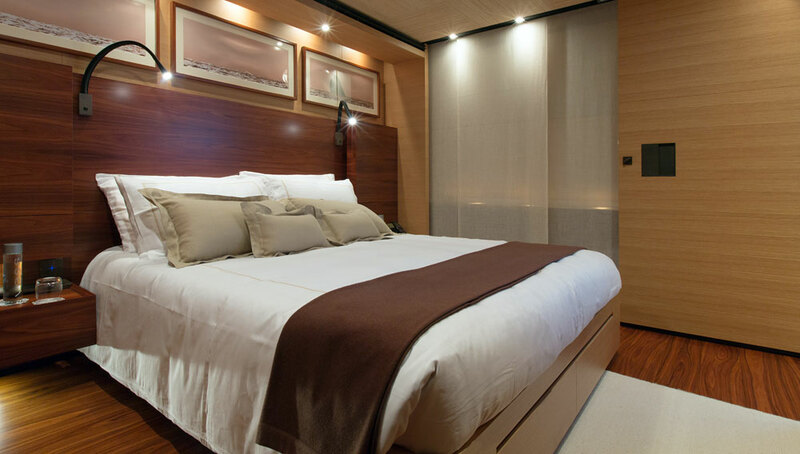 Architect Andrea Vallicelli, in collaboration with ISA's in-house naval architects, designed Papi Du Papi to be a sophisticated displacement yacht. 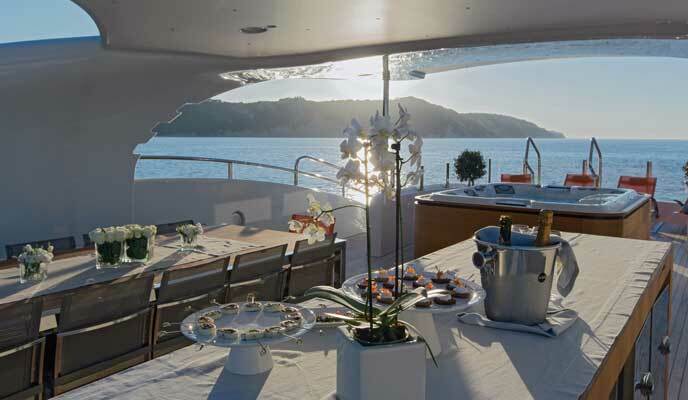 A tri-deck displacement motor yacht with steel hull and aluminium superstructure which combines the new dynamic, streamlined and elegant outline of ISA 50 metre project with the transom stairways of the successful ISA 47 metre series. 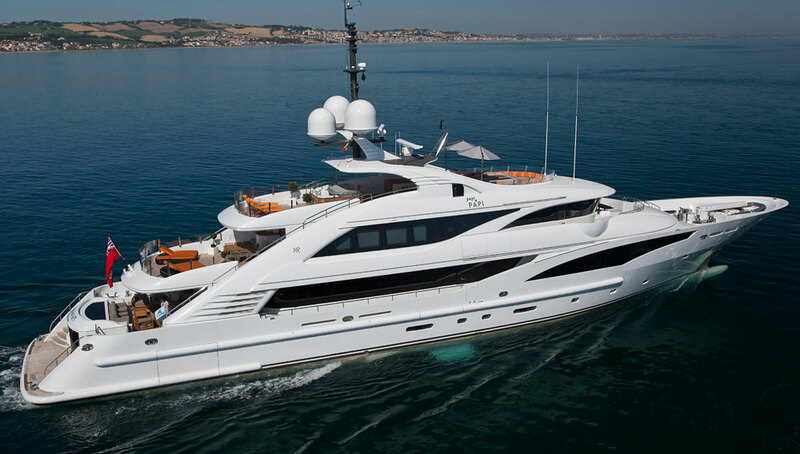 The yacht is powered by two 2 x CAT 3512C with a max power of 1230 kW @ 1800 rpm. 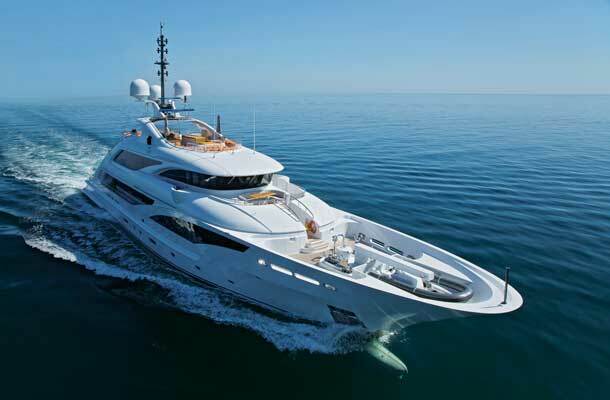 She can reach 16 knots at maximum speed. 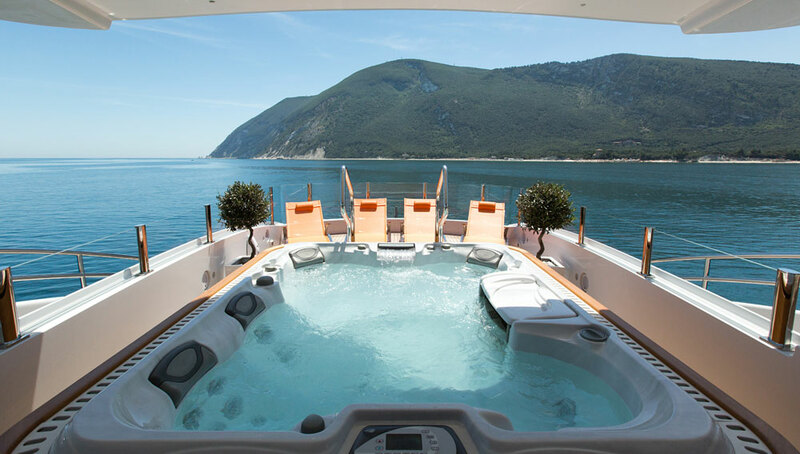 A pair of NAIAD stabilizers guarantees a smooth navigation in the most severe conditions and a comfortable stay at anchor.